When was the last time you noticed the impact of something you said? How often do you wonder if anyone heard you? Your thoughts and words are fuel for you, and affect your relationships, health, productivity and impact just like the food and drink you consume. When we are intentional and mindful about what we allow ourselves to think of and plan, our speech reflects it. 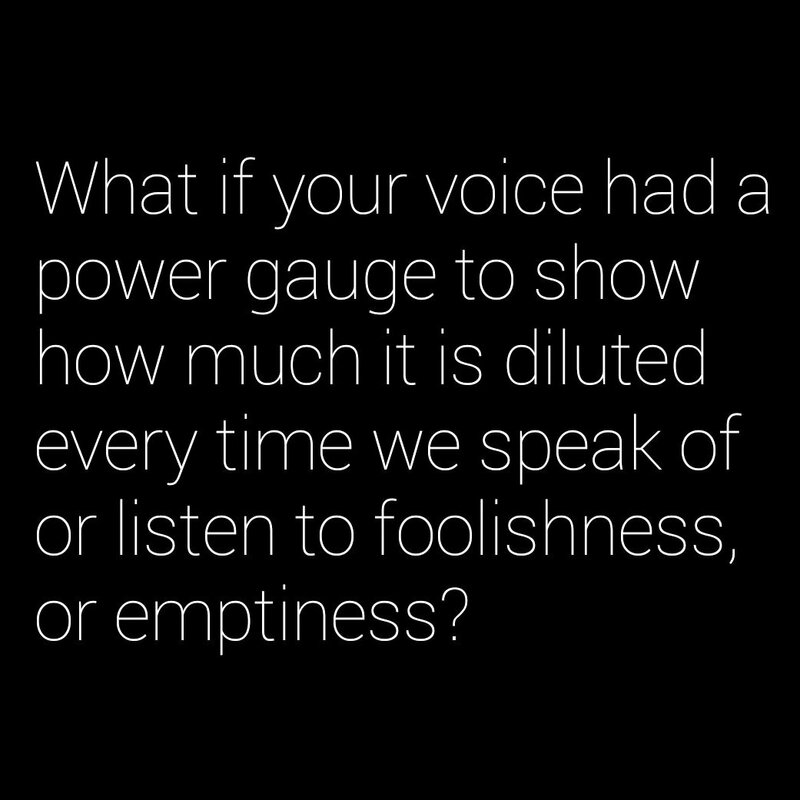 The power of our voice is like a WiFi signal. When ever we speak, if what we say builds others and ourselves up, our voice carries consistent, effective power. If we have no control over our thoughts and are careless about what we say, our words carry inconsistent, ineffective power. We all know what a strong, reliable WiFi signal can do, and how frustrating a spotty connection can be. It’s not easy and it takes patience, compassion, and clarity. Get your mind right. Get your voice tight. I love the way you spelled this one out. GREAT!!!! !